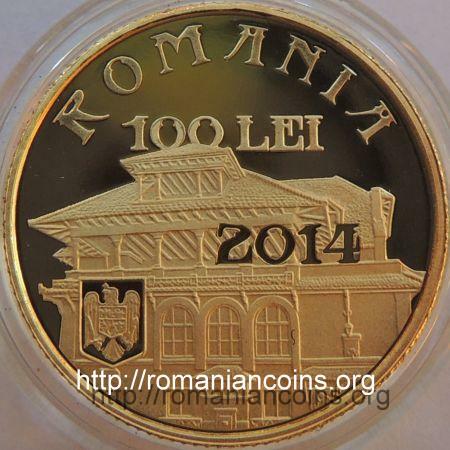 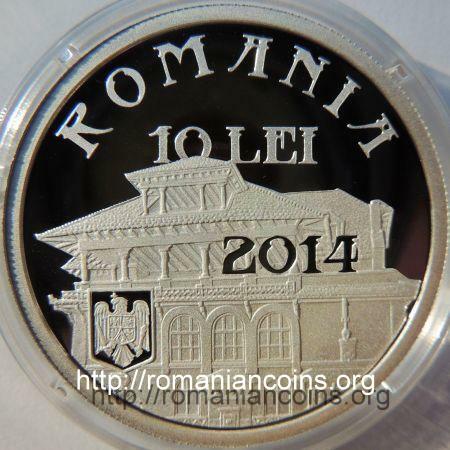 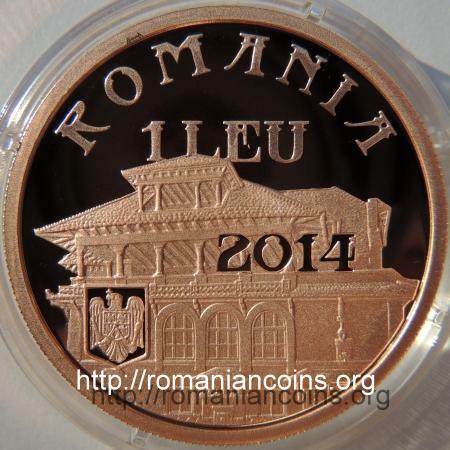 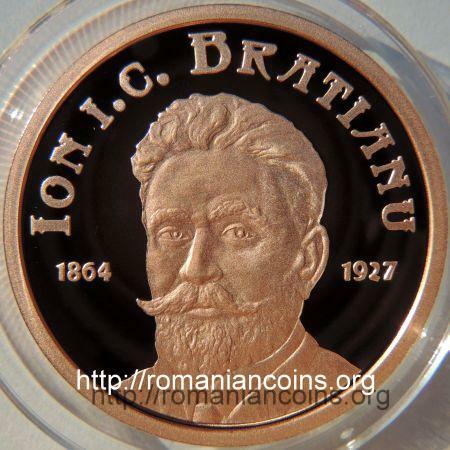 Obverse: ROMANIA, face value 1 LEU, year 2014, coat of arms of Romania, mansion "Florica" owned by Brătianu family Reverse: bust of the Romanian politician, years 1864 and 1927, inscription "ION I.C. 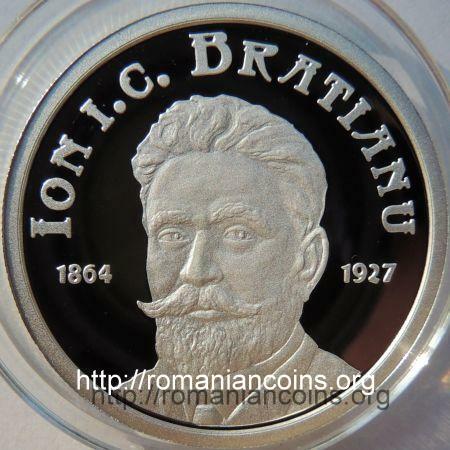 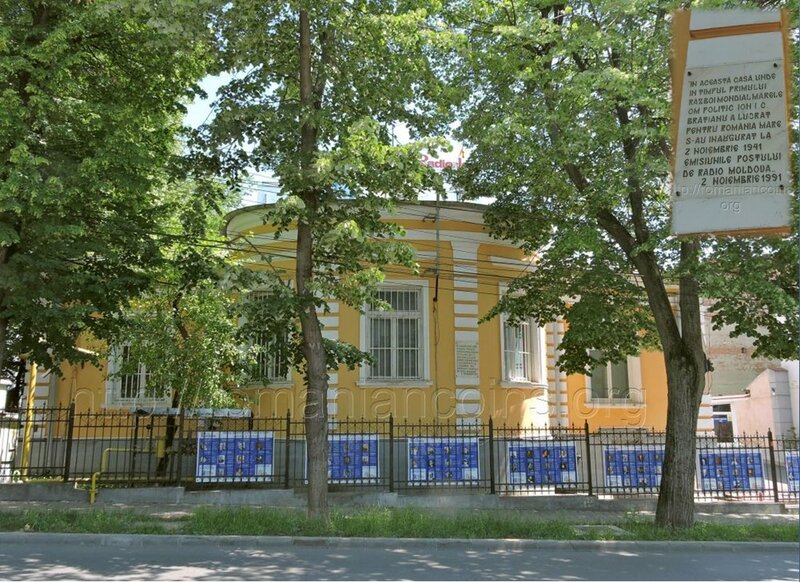 BRATIANU"
Obverse: ROMANIA, face value 10 LEI, year 2014, coat of arms of Romania, mansion "Florica" owned by Brătianu family Reverse: bust of the Romanian politician, years 1864 and 1927, inscription "ION I.C. 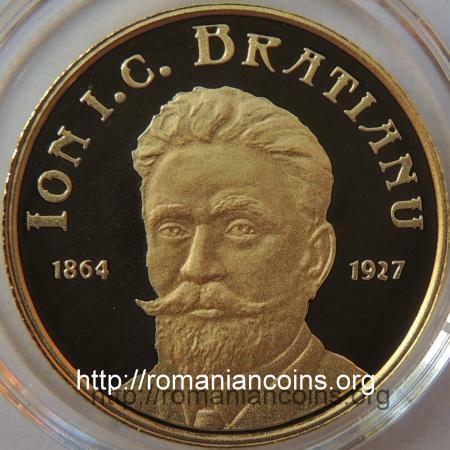 BRATIANU"